We’ve done it! 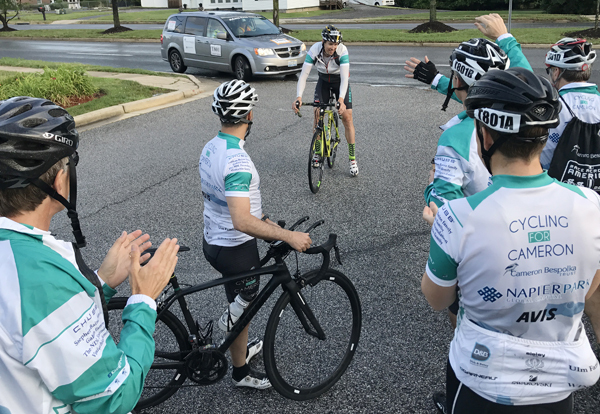 We finished the Race Across America 2017 (RAAM) in 6 days, 15 hours and 22 minutes - and we couldn’t have done it without your messages of support, love and generosity. 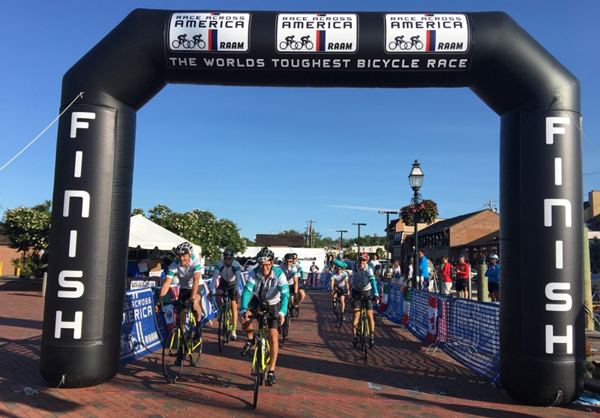 In total, we rode 3,143.9 miles at an average speed of 20mph from Oceanside, California to Annapolis, Maryland, and came in 6th place among all 8-person RAAM teams, and 17th place overall among 115 teams of 8, 4, 2 and single riders. 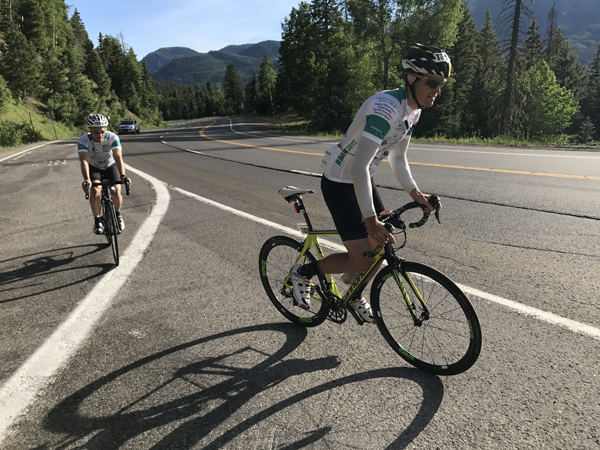 Our team of 8 cyclists and 14 crew crossed twelve states, three mountain ranges (Sierra, Rocky and Appalachian), four major rivers (Colorado, Mississippi, Missouri and Ohio), and the Great Plains. We climbed 175,000 feet, and cycled through a 117 F / 47 C heatwave and two all-night downpours. 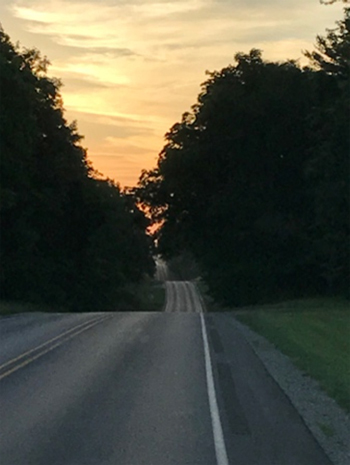 After our half way mark in Kansas, we cycled on through Missouri, Illinois, Indiana and Ohio, all with equally beautiful landscapes of rolling hills. By this stage of the race, Alessandra our physio was in much demand and we could not have finished it injury free without her! When we got to Ohio, we hit the first rain of the trip! 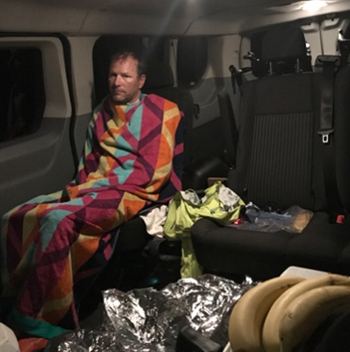 Kevin, Andy, Nicky and Stuart cycled through the night in a torrential downpour. Toughest night yet. The skills of our physio, Allesandra, were invaluable. Here Nicky feels the benefit. On to West Virginia where we encountered some of the most gruelling cycling of the trip. The Appalachian Mountains, while not high, are very steep so we had to continually climb and descend. 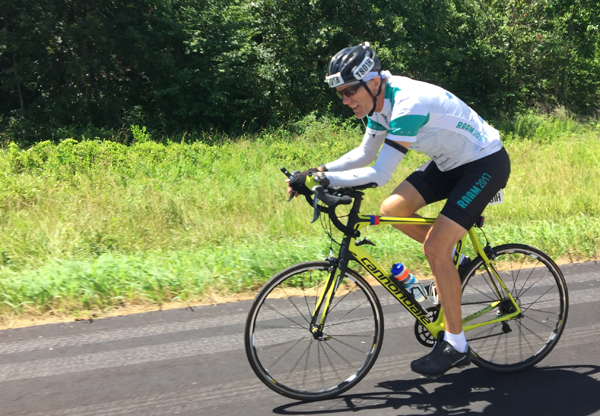 One section of this State has more climbing per mile than any other section throughout the whole journey. 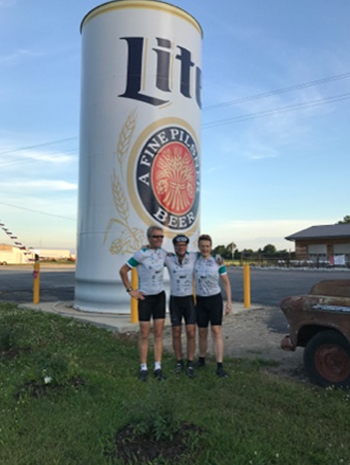 Chris, Marc, Fred and Mark began Cycling for Cameron's final shift as the sun set, shortly before the Maryland border. 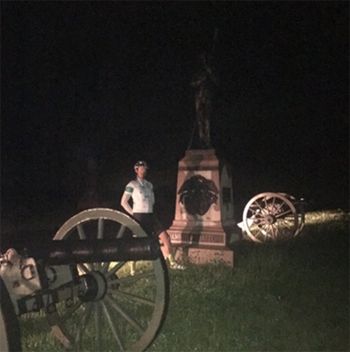 The route briefly passed through Pennsylvania, where they cycled past and saw Gettysburg at night. 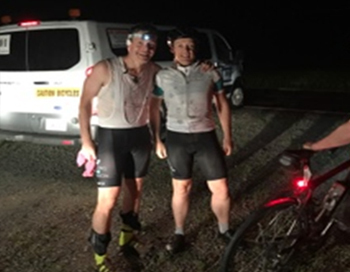 This second night of sustained rain came down hard as the they cycled through the night to Annapolis. 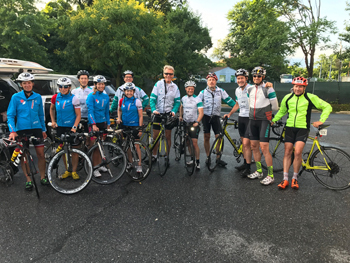 The entire team met up just outside Annapolis to cycle into town together and cross the finish line as a team, just after 6am ET. Phew, what an incredible journey! We have so many to thank. My wonderful fellow racers: Stuart Baldwin, Marc Christensen, Mark Colman, Andy Cooper, Chris Peters, Fred Horwood and Nicky Szapary . You were the best team I could have wished for. You were strong, committed and gave the race your all. On top of that, you are all amazing friends. To our incredible crew. You kept us safe and sane: Sharon Dean-Andres, Meg Bespolka, Nick Bespolka, Maureen Cahill, Stephen Jones, Rodger Meadows, Bonnie Peake, Adil Qureshi, John Rennison, Phil Schnyder, Monica Scholz, Will Solorzano, Alessandra Suozzi, and Jim Zavorski – we couldn’t have done this without you. Just a sampling of all that you did: you managed the daunting logistics; drove three support vehicles (with 1 van traveling directly behind the rider on the road at all times) and the large sleeper coach with 12 bunks; navigated the complicated route, made sure the riders and vehicles knew where to go and anticipated the big climbs, steep drops and route detours; managed the biker relays every 10-40 minutes, day and night across the whole country; and kept everyone fed and healthy, the bikes in working order, and spirits high. 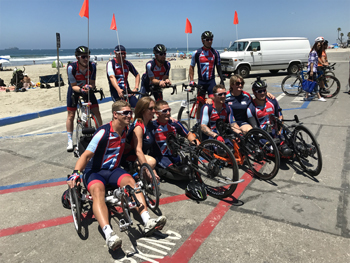 One of the reasons RAAM is so special is that you meet many incredible people cycling for a charity or trying to beat a record. We had previously mentioned the lovely Barvarian ladies Team. We are delighted they beat us by 3 minutes and are now holding the record for a 4-women team. Fantastic and we honestly believe we helped them achieve that great speed as we were often racing neck and neck with them! The other team who we were constantly racing side by side against, were the Help for Heroes Team. They really showed us what determination was, together with unbelievable fitness. We were equally delighted to be beaten by them by 2 hours and 46 minutes. And how about Nicky’s friend Alexandra Meixner fro Austria? She was unbelievable and cycled solo across the States in 12 days 4 hours and 35 minutes, good enough to finish second in the Women's solo category. What an achievement, it takes cycling to a whole new dimension. Nicky was at the finish line to greet her and she even had energy to dance a waltz with him. Quattra Bavariae, a four women team. Finish time: 6 days 15 hours 19 mins. Thank so much to our wonderful sponsors: your support has made our journey so worthwhile. 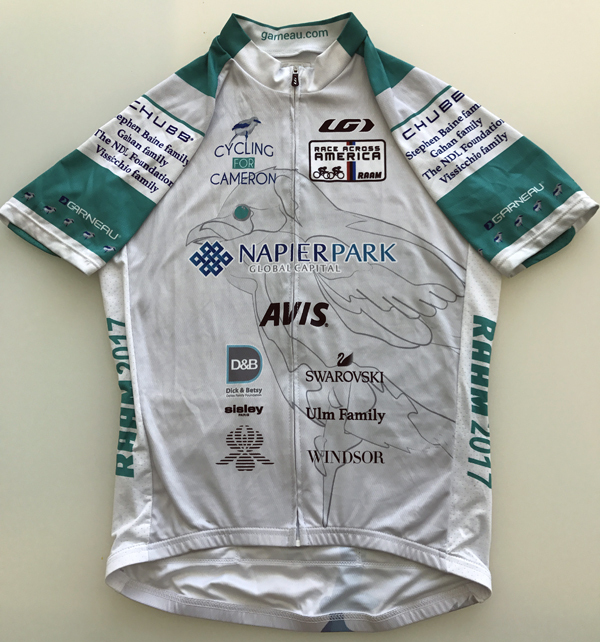 I would especially like to thank our main sponsors Napier Park Global Capital and Avis. Your generosity is overwhelming and we are so very grateful. Napier Park were the first to sign up and Avis came on board making our whole trip trouble free with their vehicle support system. To all our other sponsors: we are so very grateful for your generous support. To all our very generous supporters: we are so grateful for your donations and messages of encouragement. They have meant the world to Corinne and I. We cannot even begin to thank you enough. And finally. Why was this race so important? It achieved so many things but most of all it helped us raise money so that the Trust can carry on Cameron's passion and allow others to experience nature as Cameron himself was able to. Thank you to everyone for supporting us. Thank you to our Sponsors for their wonderful support. Still time to donate, however small, if you have not yet done so. Thank you.